Duchess Kate: Palace Confirms Royal Baby Due in April & Kate to Attend Photography Awards Tomorrow! Palace Confirms Royal Baby Due in April & Kate to Attend Photography Awards Tomorrow! We have a brief post with a couple of important news updates to share. Kensington Palace confirmed today the Duke and Duchess of Cambridge are expecting their second child in April. The news comes after the couple were photographed visiting Dr. Alan Farthing's office last Wednesday for their twelve week scan. William left clutching an envelope containing images of the scan. The announcement means all is well with mother and baby. The Palace also mentioned Kate's medical condition, stating she is still suffering from Hyperemesis gravidarum but her condition is "steadily improving". There were sightings of William and Kate in a pub over the weekend, quite likely with the Middleton family in Bucklebury, where the family regularly frequent locals pubs for relaxed family meals. It marks the first time Kate has been seen out casually in two months and is another indicator her health is improving. Speaking of the baby's gender, the Duke and Duchess elected not to find out George's until the birth and it will be very much the same this time too. When the little prince or princess arrives in April one expects it will be just as much a surprise to the parents as everyone else. Next April, the world's media will once again gather outside the Lindo Wing to catch the first glimpse of the newest addition to the Cambridge family. Our second update concerns news of an additional engagement for the Duchess tomorrow. As you all know, William and Kate will greet President of Singapore Tony Tan and his wife at the Royal Garden Hotel tomorrow. It was confirmed today that tomorrow evening the Duchess, in her role as patron of the Natural History Museum, will attend the Wildlife Photographer of the Year 2014 awards ceremony at the museum. The Duchess will meet finalists, view the exhibition and join Sir David Attenborough to present awards to the winners of the adult and under-18 competitions. 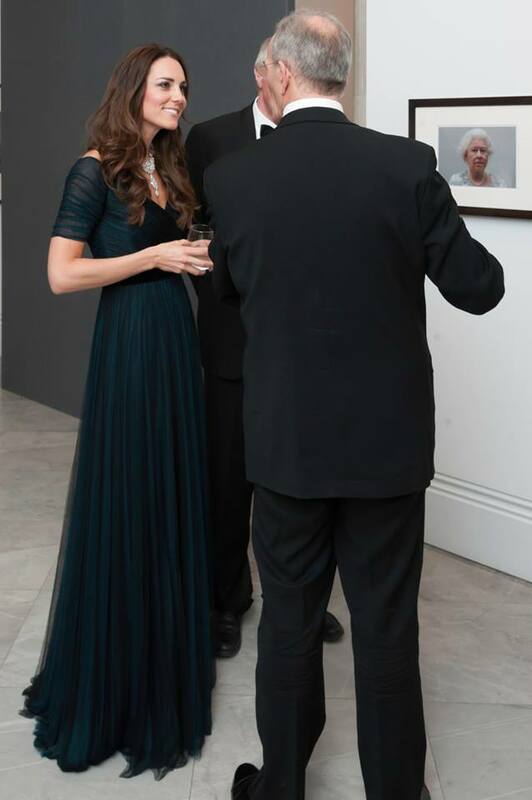 Below we see Kate with Sir David at an advance screening of Alive 3D at the Natural History Museum last December. We'll look at the exhibition in closer detail tomorrow, but below here's a taste of the extraordinary photographic talent on display. It has been quite a while since we've seen Kate in an evening gown and tomorrow night may provide such an opportunity. The Duchess may opt for a knee-length dress but the former seems a more likely choice for the prestigious event. Thank you thank you Charlotte. Really looking forward to seeing her out and about. Thank God she is feeling better. Cant wait to see what she will wear tomorrow. Beyond excited. I missed seeing her and I wish her the very best for the duration of her pregnancy. Hello thank you for all of your messages. I live in france and i'm glade to have news of the duchess. I love her style. I read all of your posts and i'm wait every day to read them!! So thank you for this and sorry if my english is a little bad! Béatrice from limoges france. Your ability to write in a second language is worthy of a round of applause. No need to apologize. You did great! Great job with your English! Happy to now have you as part of the "posting family"! Thank you all for your positive message for my english! Have a nice day in waiting the news photos of the duchess ! Béatrice from france. Great news! I'm excited to see if the new little royal makes his or her appearance on the Queen's actual birthday. That would make it a sentimentally greater day than it already is for royal fans. It is wonderful to hear that Kate's health has improved to the point of her being able to schedule these two events we will shortly see. And how lovely that one of them will entail a gown! Can't wait to see it. this ist good news! I can´t wait to see the pictures. I am very much looking forward to what she will be wearing. The evening date was just such an unexpected surprise to me! But it is a sure sign, that Kate is feeling better at last. Can't wait to see Kate again! It's been ages since we've seen and luckily we get a double dose to tide us over! Great reassuring new that Mom and Bern are doing well. In someways I would like to see the little one have his/her own BD, but wouldn't it be a great tribute and ongoing reminder to HM if were a girl, born on the 21 st. I am holding my breath that HG doesn't appear tomorrow, but if it does people will be understanding. I agree that it's nicer to have your own birthday. You lose something special by having to share. I actually disagree with you, Philly. I share a birthday with my daddy and it's pretty special, we had a traditional birthday trip to McDonalds for french fries and a Coke when the school day was over...just the two of us. Some of my favorite memories. Plus I think it would be something special for "the spare" to share a birthday with such a beloved Queen/Great Grandmother. Ohhh! 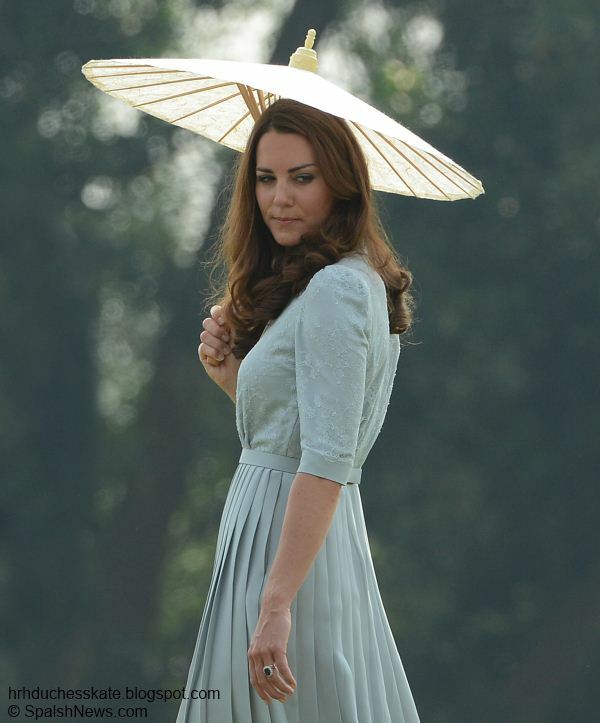 I'm excited that Kate is out and about again! Thank god that the HG hasn't last until april, otherwise Kate would suffer too much. I can't wait for tomorrow! I'm hoping for a beautiful NEW dress, to make up for all the time we missed seeing her! I'm glad she is feeling better and hopefully her HG steadily improves! I can't wait for an April birthday, my kids have an April birthday it's another reason for me to celebrate! Exciting news all around. Happy the Duchess is feeling well enough to carry out not one but two engagements. Thanks for the updates. April is a wonderful month to be born (I may be bias as my birthday is April 10!) It will be very exciting to see the Duchess up and about again, even if we only get a brief glimpse. If things go according to plan with the royal schedule, so be it and my best wishes to Kate!!! You may be in the minority group, Sarah, but you're not the only one! But the great news is that Kate is better and the baby is well. so excited charlotte ! I am so happy she is feeling better. Great post. So glad she's feeling up to two engagement tomorrow. I look forward to see her out. I hope she's rested and up to both of the outings. My birthday's March 31st, perhaps the little one could be a little early! Such fabulous news! I wondered last night and posted a comment thinking the announcement would come pretty quickly after the pictures that were published last week and the scheduled engagements this week. So very happy for the Cambridge family and happy to know that Baby Cambridge #2 is doing well. Really looking forward to seeing William and Kate together tomorrow, but especially Kate. Praying that the sickness is behind her and she feels rested and strong. An April baby..... What a lovely way to usher in spring. I think it would be wonderful for this little one to celebrate his/her birthday with HM aka Granny. 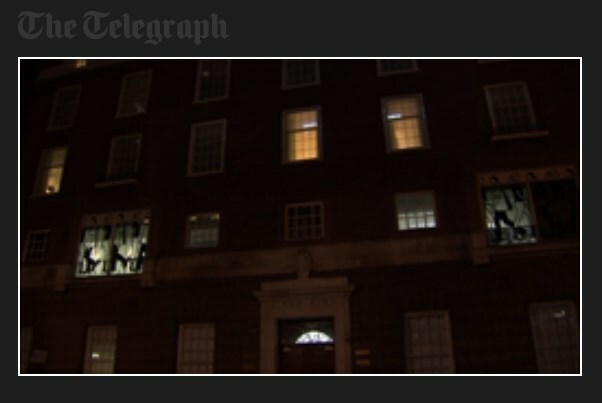 I'll be looking forward to round 2 of "The Great Kate Wait" outside the Lindo Wing. I wonder if this little one will be "tardy" like big brother was as William described of George's arrival??? Such exciting times ahead! Congratulations again William and Kate! great news! see u kate tomorrow but if u can't make it, that's ok.
Great news and great post! I'm glad to read that Kate is feeling better. I simply can't wait to see her with William today. By the way, welcome to Charlotte's blog, Béatrice. I too am from France. Nice to meet you. The photos that are on this post are from either 2011,2012 or 2013. Not recent as you are trying to suggest. What you should do is look at when these pictures were published, I've actually seen these pictures myself & when they were first seen. So what I suggest you do is look them up instead of making assumptions that they are very recent which they are not!!! !